Rain or shine . . . there are plenty of events and activities in Bellevue this weekend. The last week for Seattle Restaurant Week – 165 participating restaurants with 13 in downtown Bellevue. If you’re not a fan of college basketball tournament play, there are interesting and fun local events for adults and children this weekend. Learn about the life cycle of these amazing amphibians and the kinds of frogs native to Western Washington. Explore Lewis Creek using your ears to guide the way. Bring a flash light or head lamp, wear warm/waterproof shoes and warm clothes. Recommended for children age 5 and over. Event is free. 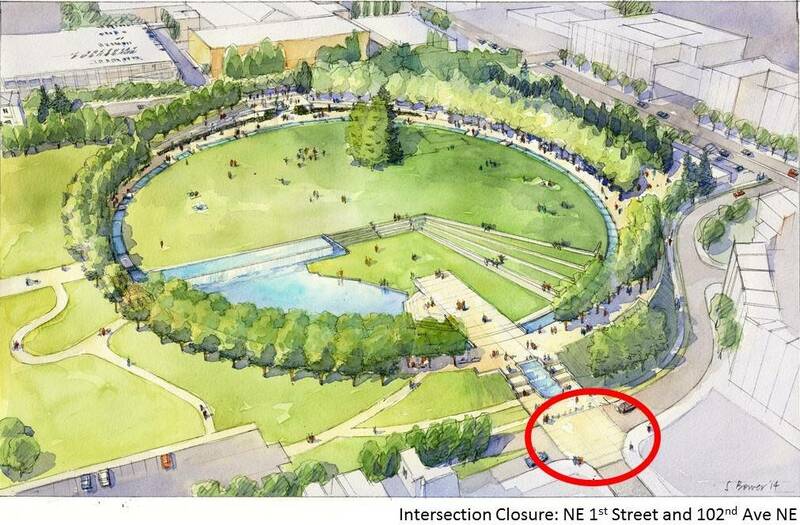 The “Complete the Circle” project at the Downtown Park is underway with work scheduled to be completed in time for this year’s Fourth of July celebration. The nearly year long project includes completion of the last section of the circular canal and tree lined promenade, creating a new entry and water feature at the south side of the park, upgrading the playground to create a universally accessible Inspiration Playground, adding landscaping and terraced seating and enlarging the parking lot on 100th Avenue NE. Construction of the park’s new south entry and pedestrian crossing caused the temporary closure of the intersection at NE First Street and 102nd Avenue NE. The intersection is expected to open again mid-to-late April. 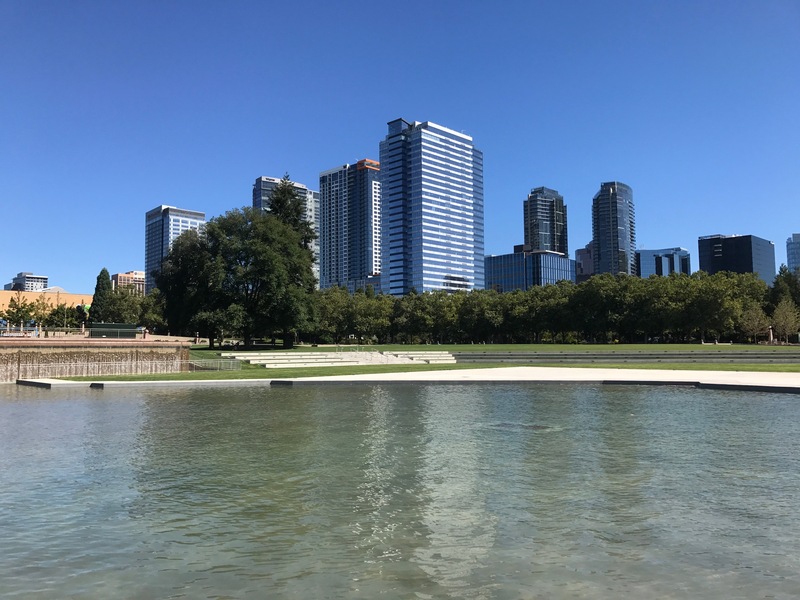 The Downtown Park is a 21 acre oasis in the heart of the city and the centerpiece of the Bellevue Parks System. There’s something for everyone . 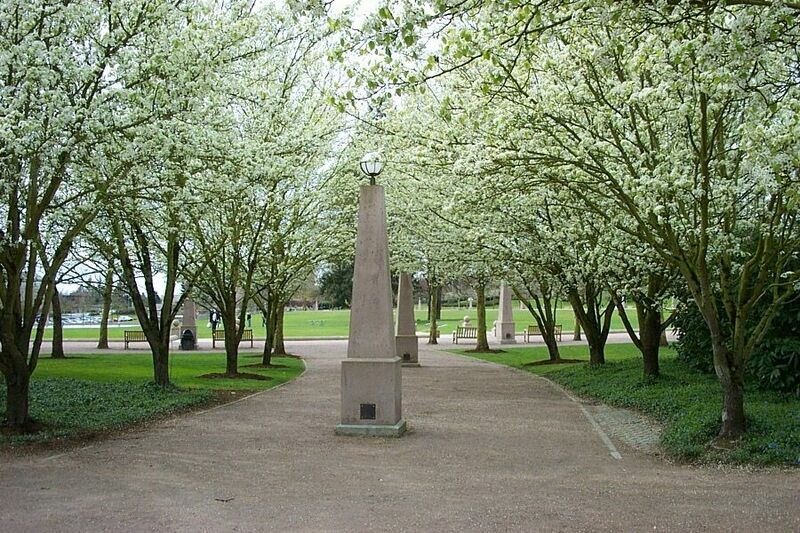 . . a half mile level tree-lined promenade, canal, waterfall and reflecting pond, a ten acre lawn area, playground, picnic areas and formal gardens . . . all framed by views of the city’s skyline and Mt. Rainier. Its going to be exciting to see the improvements and have the park open again this summer.